Once logged in click on the 'Cog' symbol next to your name in the top right and then choose Options. You should now see the account screen, Click Edit Information. Click Change to go into File Upload mode. 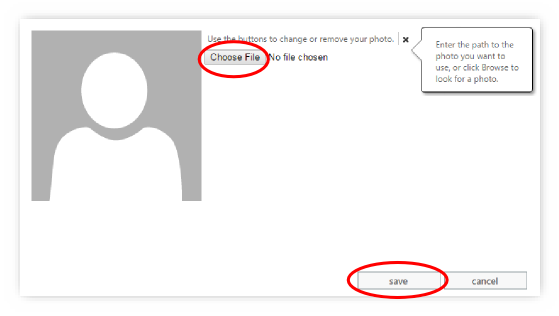 Choose File to upload your picture, after the picture has been selected click Save. 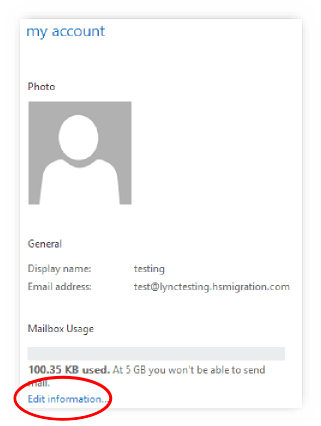 The picture will take about 15 minutes to propagate through to Outlook and your Lync Client.